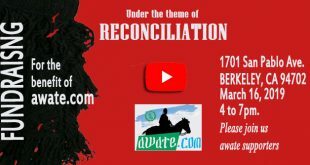 Awate.com has always encouraged Eritreans to venture far from their narrow circle of friends, from the confines of their villages, and try to interact with those who do not share with them several layers of identities. This website believed that knowing each other’s’ fears, concerns, and suspicions, eliminates mutual mistrust, ameliorate suspicions, and helps in building a cohesive national unity based on knowledge and information, not on prejudice and wrong primordial judgments. However, it doesn’t believe that coerced, and militarily guided introduction of Eritrean cultures, can create a social bond that can withstand destructive political agitation. People should do civil tasks as free citizens, just like what many Eritreans have been doing for ages, on their own free volition. Notwithstanding the lack of freedom in the country, some Eritreans have taken advantage of the available opportunities to learn about their country and people—and they have better political sanity compared to those who are ignorant about their people and country. Tesfabirhan Redie is many times lucky. He grew up in a region known for its exemplary diverse lifestyles, he was born to a religiously diverse social group, and a region that straddles the major Eritrean social divide. 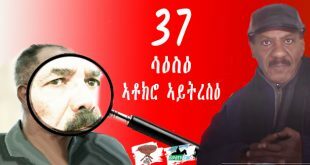 In the middle of a debate in the Awate Forum, Tesfabirhan, or Tes as he is commonly known, posted a lengthy comment, and the Awatestaff thought of presenting his comments as an independent post for wider exposure, and to help trigger a more serious debate concerning the Eritrean diversity. Here follows Tes’ edited post. I grew up in an area where I didn’t see differences of religion, language, or color—I descend from many bloodlines. It was astonishing for me to find a Saho speaking elder who lived in Hamelmalo, north of Keren, and he was fully assimilated Tigrayt speaker who talked to me in the local language for hours about my family; he seemed to know more about my family than I did. As a child, I grew up near a mosque – very close – and I used to mimic and repeat Allahu Akbar after every call for prayer. My family’s best friends, whom I consider my families, as my parents raised me to call them, are Muslim Jeberti from the Anseba region, who lived close to our home. My mother’s best friend is a Mensa’a from Bet-Shehaqe, and Ad-Ibrim descendants. He came to our home town during the liberation war in search of shelter. He has lived there and continues to do so for the last twenty years. He would visit every now and then and stay with us, pray in our home, waking up early mornings for Fajir prayer. During the fasting month of Ramadan, my mother provided him food in the evening when he had to break his fast. He was fond of me and always affectionately called me “Wejje’, my son. His name is Omer, a very wise man, who recited verses and prayed for hours during the night. Sometimes I was annoyed because I was awakened by his nightly prayers, but my mother makes me shut up, she said I was disturbing his meditation. Imagine all that is in a small traditional hut, where a family of ten lived, most of us on the bare floor, except my very young siblings, some of whom slept with my mother and others with my father. Omer used to sleep with us, among us. I was lucky to have grown up speaking three languages, unable to differentiate between them, except rarely when I had to switch languages for one reason or another. For instance, when I speak Tigrinya, someone else might speak Blina, the yet another might be speaking in Tigrayyt. However, our communication was seamless; we exchanged ideas in a mixture of the three languages as if they were one language. No one was forced to speak one or another language and we didn’t (don’t) notice when we switched (switch) languages. Our extended relatives include adherents of Islam and Christianity, all factions, including my own family. We enjoy the freedom to choose our religion — my parents are Orthodox Christians, I am a Catholic, my brothers and sisters profess different faiths. Surprisingly, I found relatives in the town of Nakfa, who lived in Rora, in the Sahel region of northern Eritrea—they had converted to Islam. In addition, I have very close families who do not speak Tigrinya at all, but only perfect Blina, and others who speak, only perfect Tigrigna. When I was young, I attended a Catholic school, with children who had many religions backgrounds. All of us prayed together, it was part of the rule of the school—the same prayers, praising and thanking God. I did my first year of technical studies in Nakfa and I used to study my class notes during the preparation for the exam, in one of the many underground rooms built during the armed struggle, I liked it because of its beauty, calm environment and its private study room. Every time I was there, I thought of the armed struggle, the energy that was exerted to build it, and about the freedom fighters who used to live in those underground shelters. I thought about the martyrs who paid with their lives to make Eritrea an independent country. During my stay there), I visited most of the historical trenches around Nakfa, including Mount Denden, Fidel Pe, Taba Dubbale, Farnello, and visited the Revolutionary School at Tsabra and Winna, the former technical schoo that was built) in1985. I visited the landmark of Nakfa, the Mosque that was left standing alone despite the heavy air and mortar bombardments. Though I stayed in Asmara for 7 years while studying, I confess that I am unable name the major landmarks or mention street names. Some people from Asmara might find that funny, but I spent most of my time in my studies and competing with my peers. I had little opportunity to enjoy the life of Asmara, for one, I didn’t have the resources at all; I was empty pocketed, and rarely had 100 Nakfa in my pocket, which was my monthly stipend. But things started to change thanks to my profession that helped me land a part time job. Furthermore, I was in Halhal, Sawa, Haikota, Mogoraib (where I met the Beja/Hidareb people during my summer campaign program, also known as «Forced Labor » I have been to Goluj, Sabunait, Gerset, Fanko, Tessenei, Alebu. where I worked as a site project engineer on several projects: Gherset Dam, Fanko Dam. The PFDJ’s construction company (Segen) knows who was there—it cannot deny I was there, my footprints are there–just check the Irrigation area and you will find my input there. My first year of military training (13th round) was at Ghahtelay ; and I was a land surveyor in Filfil-Selemuna, during the construction of the road that runs along the Green Belt to Metkel-Abet. Sadly, I was also a member of the team that surveyed the road that lead to Ella-Ero–I had no idea why they were constructing that road in the summer of 2001, but now we know the regime was constructing the road that leads to the secret and notorious prison where the G-15 and many other political prisoners, are kept. Thereafter, I was in Shieb-Gedged, (the site where 400 innocent civilians were killed) as a project engineer for the seasonal road that joins Sheib to Afabet. Turning to the highlands, I was in the environs of Adi-Keih constructing a micro-dam in Berhinet. And that helped me learn the wisdom and the great culture of the people there: Berhinet, Hawatsu, Mendefera. I traveled to Mendefera very often because my brother was imprisoned there—he was imprisoned because he absconded from his unit. During my assignment in 1996, I spent the summer in Arreza, Seraye, where I was exposed Kuda-Arreza, and enjoyed the best Suwa made of Dagusha. I visited Mai-Dima, the Dembelas and Kohayin Plateau and was mesmerized by the wonderful grazing pastures. In Barentu, I saw the Kunama people who are cornered outside the town-center where all the new buildings are occupied by rich Highlanders who owned most businesses. I saw Kunama families living in small houses, just like they did many centuries before and I admired their beauty and their honesty. In Ka’alay, a midway between Akordat and Barentu, I saw the rich and vast pastoral lands that are mostly inhabited by the Nara people. In Akordat I visited the beautiful Mosque, Hospital, and the old market place close to the Barka River. But a little up the road, I found the heart wrenching town of Engerne, where I witnessed the once prosperous place, now a destroyed agricultural town that boasted many Banana plantations. When we got married, we had our honeymoon in Massawa where we enjoyed it with my wife: mostly Tigrinya speakers, empty streets, closed port and no ships in the docks. A little up the road to Asmara, I stopped at Gindae and enjoyed its beautiful climate and tasty tea. In 2000, I marched from Ghahtelay, following the railway lines that run from Demas to Gindae, a landscape that is surrounded by high mountains that were once battlegrounds during the last phases of the independence war, Ginbar Gindae (Gindae Front line). I crossed Gindae at midnight with dim lights of the stars, all along Durfo, Arberebue, to Bet-Gergish, a 24-hour foot journey from where we were ordered to return for an urgent military training during third offensive border war with Ethiopia that stopped after Algiers Agreement. During my visit to Assab in 2007, I observed the once a flourishing port city turned into a ruined city with empty streets populated by vultures. I also gained exceptional experience that enabled me to know about the Afar people and the Dankalia region, and the misery they are going through, their suffering left an unforgettable memory in me. My bio shows the following: I was trained in Nakfa to be a PFDJ cadre; I taught engineering for six-years at the Hamelmalo College; I had valuable experience gained, both in the academic and practical fields. Now, I am a trained Local and Traditional Food Developer and I am fond of food and food cultures. All my life experiences have helped my convictions evolve, and I strongly embrace the fight for justice, with full conscience and awareness. I value Peace, Freedom, and Justice highly. And I base my convictions on the history of our collective identity, to achieve absolute JUSTICE. And I am guided by these convictions when I write, express my feelings and emotions, debate, discuss, sometimes fight or react, and enjoy a normal life as a human being. My reference is the Love of the Human beauty, and I remember God, the Creator of all, to bestow wisdom on me. Because I believe wisdom is the light that helps us avoid falling in the pit of darkness, by differentiating the good from the bad—and we should shun the bad and follow the good. has given us hope that so many of you who left are doing fine considering the current situation in Europe and N.america. one thing though, i probably missed reading on your bio-data are the years of Sawa and the weyane invasion of 1998-2001, was it intentional or you do not think it is relevant to make your story complete. Notwithstanding the challenges Tes witnessed, regardless his family’s problems that he openly shares and the economic challenges his family like so so many Eritrean family’s faced, Tes is sort of privileged Eritrean, he with his hard work in school, help from his brothers was lucky not to squander his intelligence, but he is a minority. And most of those who make it to Asmara university are also privileged, those who pass the leaving certificate are mostly privileged, and if you do the analysis I bet you will find that Tes is a minority. You see poor, disadvantaged black kids make it to Harvard, they are rare, same with Tes. His situation cannot be a measuring stick for “so many are doing well”. Tes is un inspiration, a template for how to succeed in the midest of gloomy Eritrea, whee the rich and powerful get their way, but that should not be taken as a good template, it is the template of the last resort. You have said it all more than I can say. And what I admired you most is when you referred Victor Franklin to mention what I have gone through. As you put in between your lines, ..if you can avoid suffering avoid it…. This is what I am going through. While writing, debating, discussing and arguing, I am facing this at this right moment and it has been part of challenge to life. If I had a courage to write what I have faced in this month, let alone other days, everyone here could have cried. I am telling you. I am not sure if he is the same person you mentioned but I read something related from a hollocoust survivor that helped to take my inspirational motto: there is life behind the wall*. And my problems failied to challenge me. Whenever I face with problems I push them back in palms of my hand. There, I just see solutions and always I get right(I don’t know if it will work in politics). Thank you for the follow-up feedback. I just mentioned Sawa and I didn’t discuss it in detail. I thought it is understandable. But I participated two times in a military training. One: in 2000(I think it was mentioned) and second in 2001. In 2001, I went there as an obligation. In the mid of october, I returned back after passing sucessfully the national leaving certificate examination. And in the year of 2006-2009, I did my national slavery. In 2000, it was in defense of the country from Ethiopia – this was what I felt and stil do as my responsibility to defend the country. In 2001, it was an obligation – I had no other choice. If not I couldn’t get an opportunity to enter to the then only existing university. 2006- 2009(early) – it was a forced labour, aka national slavery. These years had ruined my dreams to live and work in Eritrea. My hate towards PFDJ system developed during these years. I think Asmara city ( little Roma) was a curse to Eritreans. Those anti union Eritreans did not want to share this beautiful city to the backward Ethiopians. According to one of the founding fathers, Addis was too backward to associate with. That is the old generation mentality. Assab and Massawa are the New curses. The new generation considered them as a negotiating power against the landlocked Ethiopia. I don’t see a difference between the two generations. Now the city and the ports are empty or emptying. How ironic, I wonder how those eritreans who thought they were superior feel today. Because I know that they weren’t few. Asmara is nothing in today’s age. They were too busy admiring their italian-built city when the whole world was progressing, now it’s nothing compared to the worlds standards. We should always be proud and appreciate your city. However, it should not be to the point that blinded your judgement to call others ” backwards “. Those Eritreans thought they were ahead of everyone. They still unbelievably do, infact that mentality is well and alive on the forums such as Madote. They’re such braindead people that it makes me almost ashamed to be eritrean but then I remember awate. I don’t see how the ethno bashing, empty streets and voltures in the naration fits other than for the upgrading to an article for maximim reach. Before his tes’s birth, the landscape and population makeup he describes was not different. I believe there is more diversity now. Just read the Aagazian iSEM’s response about his travels through Gash Setit. I can say this because Gash Barka is where I was born, and the diversity and representaion of all the nationalities is permanently etched in my brain. A visitor from the highland village, say Liban, may be shocked of the presence of so many Tigrigna far from their village…That highlander like tes may carry guilt for the Bilen or Tigrigna, his ancestry. But it has been so for quite some time young tes. Your bitterness speaks loud though. The demographic structure of Eritrea at this time is just beyond repair. If any one is dreaming to scale back to the time of hailessilassie . It is simply beyond repair . My issue is with the 1994 Land Policy. This policy is what has changed Eritrea into an occupied country by PFDJ regime. I thought the debates was not about the current composition of the people in where you was born. It is about how that situation arose. The debates. I believe, are about filtering out disingenuous intent through narratives with or without knowledge that is deployed on the Eritrean psyche. In addition to, of course. to the current composition of where I was born and how the situation arose, we must consider side infiltrators with pre-designed chaos and mayhem that could prove to be more disastrous than the current circumstances. Testing and challenging a personal narrative that is laden with inconsistencies in some parts serves to toughen an aspiring justice seeker future leader. If I detect the slightest of disinformation for temporary gains effect, I challenge utilizing cross examination techniques of a Private Detective American sitcom kind. Showering with acolades an aspiring young leader as the second coming of IA will undoubtedly produce for us DIA. I thought you may protest, hence the “Presidential tes” talks bait. As you are very aware Sir, it is pivotal time for our Eritrean Body politic. With official statements, memorandums of understandings, policy shifts, alliances broken and new ones mending, a national congress realizing or not, the approval hand clapping we will witness to be less and less and scrutiny for as close as possible to the reality at hand being more and more. And I am rather cursed with being privy to tes’ personal story close range. Those of us who find one another in this forum, we interact with one another on the merits of judgements and views one voices on issues at hand. Not on the basis of complete biographies and credentials. I wrote that I would vote for tes as president on merits of his understanding of matters that attract our common attention under the existing conditions in our country. Knowledge about person to person stories is beside the point as far as I am concerned. The Tegadeltis who sweat, bleed and died (in Barentu in this case) – if the land they were dying to liberate, is “land of others” (land of other people), what was the rational of the Tegadelis to die in a “land of others”? Hmm, the land is land of Eritreans unless for example you want to say Kunama’s land is not for Kunama or Afar land is not for Afars. If you accept this simple statement, be honest now, Farmers were called then after to plough their land freely., it will not be a problem who the owners of the land are. Tegadelties had and have their own farm. They should use that land. If they want to do agricultural activities or settle somewhere else, they should purchase land from the owners. I am not saying these tegadelties have no right to move anywhere within Eritrea. What I am saying is they should not use their status and occupy land of the local people. And my argument is line to Land Proclamation of 1994. This proclamation allowed the state to take the land from the owners. And this is against what we Eritreans fought for. Any government can not own the land of the people. But PFDJ is occupying it, just like any colonizer. And it is distributed on merit bases, tegadalay. This is violation of owners rights. This is my take: PFDJ is a Colonizer.. He has occupied the land of the people. And I am fighting against this. Do not try to inject “fought and die”. I don’t buy your nationalistic ideology. Kan nay blbKa diKa walas kolel nmBal iKa? It’s really common sense…if you are saying the government should provide housing, land etc to the tegadelit to integrate to the society and have decent jobs to raise family, provide zero interest loan to start a business etc..then by all means we are all for it. If you say they need to be given the homes that were occupied by the Ethiopian military administration (like Kagnew, 35, radio marinaio etc) and civilian administrations who left the country should be given to the Tegadelti until a resolution was reached,then that’s all fine. If you say the building complex like enda Korea should be build to provide housing to the tegadelti, the war disabled, the orphans, the parents who lost their childeren and no body to tend them to…then I would say you are right and you are correct. But to just come and take people’s home who lived there for years and throw them out in the street so Tegadlti can take it over…just becuase tegadilom is Ageb…. It’s believed that Ethiopia millitary establishement amounted to 300K..and the total number of tegadelit and their families amounted to 90K…..why? Where is the math? are you to believe the tegadelit are all brain dead they can’t find a simple solution to a simple problems? Is there not possible to get a national debt from the international community to help them settle rehabilitate and the burden will be to the nation? Forget loan and all this sophisticated things, it will pass through the heads of PFDJ. For sure Eritreans should not be confined to their places of origin, there should be mobility and freedom to own land and property and business every where in Eritrea, BUT, BUT.BUT, we are talking about of PFDJ grabbing land from its rightful owners and giving them to people with money. So do you agree with PFDJ’s land policy: every piece of land belongs to government, I do not recall Ghedli creating land when it fought, they have just stole the land of the people, “FREEDOM FIGHTERS STEALING THE PEOPLE’S LAND” would been attention grabbing headlines if we had a free press. I grant you that there was land issues historical especially in the highlands and reforms were needed, but in some provinces the land ownership was fair: if you are from the village you have the right to “tisha” and farm land and to make it fair, the farm land is rotated, “dessa” and small part is what is called “tslmi”, it cannot be rotated. Who is rightful land owner and who is not if “Eritreans should not be confined to their places of origin”? And why is that? Do you truly believe, the people who are grabbing “Muslim ancestral lands” are people with money? And do you truly believe, the PFDJ government is selling Muslim ancestral lands “to the highest bidder Koboro Junkeie” (ethnic Tigrignas) for money? That is news to me! 3. – “They (Tegadeltis) have just stole the land of the people, FREEDOM FIGHTERS STEALING THE PEOPLE’S LAND would been attention grabbing headlines if we had a free press. Freedom fighters (Tegadeltis) stealing people’s land? Wow! In your mind, who are the freedom fighters? Have you ever heard the phrase “the Eritrean people fought for thirty long years to chart their destiny”? How are the people and the Tegadeltys different? Do you believe Tegadelties (I suppose Muslims and Christians) are doing better than the wider public in PFDJ’s Eritrea? If all Tegadeltys (Muslims and Christians alike) are the privileged class in PFDJ’s Eritrea, then why are you singling out the Koboro Junkees out of all? Mokhsi: as usual, you’re not making any sense. DO YOU SUPPORT THE CURRENT LAND POLICY? am using your style “entetemeselley”. Yes I do, yes I do, yes I do…..! Let me make it even more clearer to you: there are many things that I don’t support about the PFDJ regime, but the usufructuary right over land is not one of them. 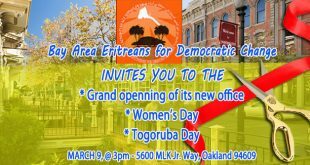 Is the usufructuary right over land in the Eritrean legal system (PFDJ/GoE) perfect? Absolutely not; far from it. But it is a start. And it is the only right way to start for a NATIONAL plan – a NATIONAL plan that is a necessity for a NATIONAL economic growth, stability, and economic prosperity. 1. – In today’s Eritrea, the lands, the sea, and the skies are (as they should) entrusted and managed (controlled) by the Eritrean central government (GoE). The reason: in order for a nation to use its resources properly and effectively, its central government must have full control over its national resources. In the absence of full control of the central government – over its national resources, or if national resources are controlled by ethnics, clans, regions…. there won’t be a national plan for – mining, agricultural industry, water reservoirs, fishing, urban sprawl, education, healthcare, tax system, investment, infrastructure…… No national plan means no peace, no stability, no prosperity, no unity. 2. Today, in Eritrea, the central government is the PFDJ/GoE government. And until it is replaced by another central government, National Planning and the implementation of national plans rests solely on the shoulders of the PFDJ/GoE government. 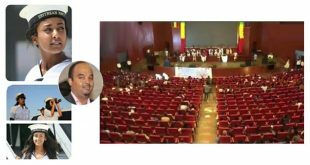 And as it should, the PFDJ government should be graded by the planning and by the accomplishments it achieved in this endeavor. Mokhsi: Thank you for engaging, and thank you for all the respect. Selam Semere Tesfai, I personally think the land proclamation from 1994 is a good policy that ensures a just and equal opportunities to all Eritreans to use land. Yes, as you said, everyone in Eritrea has only the right of use not ownership of land property, because it is the state that owns all land. Regarding the land in villages, the right of use of the land for farming/agriculture is only limited to those villagers who live permanently in the villages through farming. That means those villagers who live outside their village have no right of use of the land for farming but they have the right of getting a land for housing/tisha. According to the proclamation, the land of the villages is going to be readjusted/midildal to make sure fair distruibution among the villages, because naturally, the quality and size of the land and the number of the inhabitants of the villages is different. According to an important seminar that was held by the minister of zonal administration in 2015, I think your point number 4 somewhat needs to be clarified. The land of the villages is accessible for use only for villagers. As they say, the devil is in the details; in this case the overshadowing problem in Eritrea is lack of rule of law in general in addition to lack of skilled people who would put the proclamtion into practice based on fairness, uniformly throughout the country, and without corruption. Also when the gov takes the land from villages or other users for development purposes, there must be proper ways of compensation for those who lose their right of use of the land. PS. Anyone who would like to have an idea about the land proclamtion from 1994, you can watch the youtube videos of a series of seminars given by the minister of zonal administration in 2015. In 1994 I was in Eritrea and personally dealt with the land issue. So the land issue was complicated needlessly. Woman in some former awraja have the right to have land in their father’s village, so PFDJ did not solve that either. PFDj could have created opportunities and services and cities and instead of destorying them and people would have naturally moved there for employment without messing the people’s land. They basically took the fertile land in Gash and Barka and gave it to their lackeys and in some cases they used it themselves , real governments only farm and own big business for national strategic reasons only and for sure in Eri that was the case for the first decades but they had to screw with something that was working somewhat fairly. Government, if it wants it can buy land them to develop project for society under strict rules. In Eri land issue was working fine the urgent matter was rule of law and they rushed to the less urgent matter, go figure that out. This Semere T guy is not actually with the Highlanders to. He is just aligning himself with the Agenda of PFDJ, divide and rule. These are kinds of people who have been attacking ONE Awraja/Province I know from the day the Anti PFDJ/Issayas or the mafias started. None of these kebessa awrajas had any issues or never have conflicts with each other prior the pfdj take over of the nation. So, it started with attacking people in one awraja and after time that movement retired. NOW, the highlanders and lowlanders issue is set to be tried and that will ever work because people have learned from their mistakes. Afterall, aren’t the patriotic and with culture people of Sahos in the so called Kebessa land? Aren’t the jeberty Islam believers in the kebessa land? Speaking of Kebessa or highland, isn’t awraja Senhit classified as in the highland/Kebessa region? Now you are talking. Please do not hide yourself under the cover of “Tegadelti who fought and die defending saga”. Just say it straight and then argue on what you support. I wish I could live long enough just to be able to vote for you as president of my country. It is normal to see people like Semere Tesfai deny their struggle mission and turn against the people who fought to be liberated from occupiers. I do believe that EPLF betrayed the people after 1993 when Eritreans said YES to independence. They denied the sacrifice paid to make Eritrea independent. What we see today the continuation of that betrayal: Once betrayed, remained betrayed. The lost souls citizens like Semere Tesfai, a freedom fighter in the ELF group, a front that was established on sole purpose of liberating Eritrea, are a liability to the struggle for justice. Whenever I see Semere Tesfai, I see ignorance. Whenever I read, I see his betrayal. Whenever I see his reaction, I see the inhumane nature of him. His argument on the “majority-Minority” line and his believe on the rights of highlanders to rule the lowlanders is simply a gross-mistake on his failure to understand what OPPRESSION does to the oppressed. What the lost soul people like Semere Tesfai didn’t see is that oppressed people always stand against the oppressor. Semere Tesfai came to awate for the sole purpose of arguing against the land grabbing policy of PFDJ. He tried to justify the rights of highlanders to occupy the lowland because martyrs died to defend the lowland. This is a betrayal, and when it is coming from an ELF member, it becomes a double betrayal. Dear Ismail AA I wish I had the wisdom to fight back against those people who betrayed their vision. I believe I am a follower of Hamid Idris Awate. Idris Awate is the father of free Eritrea. I feel a deep pain when I see a statue of Pushkin erected in the heart of Asmara. And I feel a deep pain when I see a ruined statue of Hamid Idris Awate in Haikota far from the city and far from a road side, just in a compound where it was like a normal cemetry. Had PFDJ built the statue of Hamid Idris Awate in the heart of Asmara, had they put in every legal stump, had they put his photo in every currency, I could have forgiven for their sins and barbaric action. PFDJ betrayed Hamid Idris Awate. They betrayed everything. And Individuals like Semere Tesfai are betraying their own convictions. What they betray is betrayal of convictions and rights of individuals. EPLF and now PFDJ is guided by Nihnan Elamanan Manifesto of 1971. This manifesto is still in practice. I remember Yemane Gebreab spending two days, as a final lessons during mour cadre training course (2/45) talking, praising and glorifying Nihnan Elamanan Manifesto. At the end of this cadre training class – DIA is supposed to come in person to take all the credit for himself. During my time, DIA didn’t come. Yemane Gebreab was presenting on his behalf. And his conclusion ends by giving credit to DIA. He praises Nihnan Elaman Manifesto and its role till this day. And the credit is all given to DIA, personalization of the armed struggle. We would like to firmly remind all concerned not to take this position paper lightly, since it goes beyond an exposition of our revolutionary struggle; we assure the genuinely interested that our country Eritrea, its people and their struggle can be explained clearly and adequately. We, who are expressing our views through this exposition, are Eritrean liberation fighters who separatedfrom the administration of the -“Kiada el Ama”, “General Command”, in March 1969. It is true that almost all of us or a majority of us are Christians by birth, cultural and historical background. Those who view our makeup superficially may regard our struggle as religiously motivated, an assessment that we do not desire to overlook even if it may be the result of a lack of insight into our objectives. Instead, we urge anyone who seeks to understand our position and ideology to road all our publications. Further, we hereby state our readiness to meet with and openly clarify our stand to those who might entertain doubts as to what the nature of our struggle is. Although we deeply understand the complexity of the reasons which caused us to take our stand, that is, to separate, we are fully cognizant of the fact that some of those who look at us with interest or concern ask themselves questions such as “Why did the Christian elements separate? How did they separate? When did they separate? What is their goal? What do they seek? Are they religiously ornationally motivated? Are they revolutionary fighters or Christian crusaders? Are they reactionary or progressive? Etc…”. We also know that they may not find satisfactory answers within themselves. On the contrary, they may get distorted information and blame or even oppose us. Thus, it is not only questions that are asked about us, opinions are also voiced. Many have pretended to be on our side and have been known to applaud our supposed “separation from Moslems”. Others may similarly applaud our separation on the ground that it “has been long over due”. Others still merely declare that we are “religiously” inclined, and so on. All such opinions are illusory. It seems that there are more opinions addressed to us for the purposes of deception, praise, threat, defamation, criticism, bribery and the giving of different goals to ourstruggle than we can constructively use. Dear Ismael AA, you have read this hundreds of times. I am just bringing what I see in today’s problems. Had EPLF did a genuine response to those who questioned the motives of Nihnan Elamanan on time and a due correction was done on time, I am sure the suffering we live today could not have emerged. But they said: “All such opinions are illusory” and for their rude decision they said, “it is our duty and ours alone to give a satisfactory answer”. Ands today, anyone who asks about the motives of PFDJ, the same response is given, even at UN Human Rights Hearings. The same voice from concerned body and the same response from Nihnan Elamanan Followers. Attending PFDJ Cadre School and hearing personally Yemane Gebreab talking passionately about Nihnan Elamanan, his argue to read this important document and praising for the author, Dictator Issaias Afewerki and giving the credit for all the credit to this single person, I feel a deep pain within deep of my heart, the place of my heart where my personal life challenges never reached so far. Now please explain to your readers why someone from SenAfe should sweat, bleed and die defending Barentu. . I think I know why he is asking this. He is not interested readers to hear but for himself to be fully alarmed on my take. Dear Ismail AA your words are pushing me to say what is inside me. I want to share what is paining me inside. Do not feel that we, the youth, are not fully aware about your pain, our people’s pain. We know it and we are shouting day in day out. If anyone, like you do, is ready to hear us, by saying, my son, my daughter, we have lots of things to say. So far, very few are listening our pain. If you pay attention what the youth are saying, it is an exact thing for what I am saying. Some are going to the extreme, even denouncing the sacrifice and calling freedom fighters bundits(exception here is Kunama Opposition front group -where SGJ and many confronted them publically in the case of Hamid Idris Awate). Such words are coming out from the deeply wounded heart. I believe they are honest. They were not meant to deny the sacrifice but to show how far we are hating our oppression. Dear Ismail AA, my father, the road to justice is not short and always bitter but there will be justice. Many thanks for taking time to write such enlightening analysis. Further, you have indeed said it quite correctly. A lot many of the youth of my generation, who had joined the ELF, came with one and only one aim in mind: to fight and die for the sake of ending occupation. Recruits were welcomed with their cultural and social baggage. There was no pre-recruitment screening except in random cases of spying for the enemy. 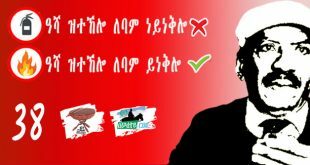 Encountering some brother or sisters with ELF background endorsing later on the policies of the EPLF and now EPDJ should not, therefore, surprise you. For such individuals the struggle’s endgame was ending occupation without commitment to the content and substance of political programs. understood as an anomaly that unfinished work of the national liberation era struggle had passed to the present generation. So, it could contended that such outlandish attitudes are part of the burden our enlightened youth like yourself have to face and correct. The youth should learn lessons from manifestos such as Nihnan Illamanan you have quoted, as well as similar narrow interest promoting programs, in their pursuit to of building a united national state where freedom and liberties shall respected rule of law. Good to see The Tes Manifesto by itself. Thank you and as you argued, it is in the front page. I do believe that the message I coined within this article are my strong convictions on the fight against oppression and a desire to see a just Eritrea. Whether it is a manifesto or not, I don’t know but I believe it can be with working on it a little bit. On the title, Awate Staff are responsible for it. I just wrote my comment without a title. And the content is no more mine. Awate Staff are responsible for it. In my opinion, I believe that it is a strong title and Awate Staff had given it due consideration to come out with this strong title. I am honored to see my ordinary comment coming in the front page with such a strong title and strong introductory remarks. It is really a lot to me. I hope I voiced the voice of the voiceless Eritreans. On this occasion, I have to thank Awate Staff for featuring my input. I was just busy to correct PFDJites misconstruined immage about my voice and if they can have an open mind left to tell them the pain of the voiceless people living throughout Eritrea in suffering. Great read, it gave me a good depiction of what was a simpler but sweet time. We must appreciate good writing when we can, thank you Tes. I like your take and your Court, “…Especial Court of “Ere shitta Lemene…” is what it should be. Native people, like Kunama, Beja, Nara and Afar need special protection. And those who settled there for a different reason should be known as settlers. A system should be introduced to compensate or the native people, be it at individual or village level or regional level should have a right to own their own land and manage in the way they want. If the country want to give land for veterans/freedom fighters, it should purchase from these native people or rented with a an economically adjusted annual payments. Any Eritrean should only have a right to own a property in his brith place, ra kind of rights by birth policy. Otherwise, someone who comes from Senafe can not go to Barentu and take the land of a Kunama family simply because he/she is tegadalay. If any Eritrean or an investor wants a land he must pay for the owner in an agreement reached between the two. The Government should not be the owner and distribute the land. Suppose Nitricc wants to build an Arsenal Manufacturing Company. he wantes 2000 sq.m, say in Adi-quala. The government might give him a license to build that company. But the land should be purchased from the owner. The government may convince the owner of a land in question but it should be on the shoulder of the owner of the company to compensate through all means possible. Today what we see in PFDJ is grabbing the land from owners and give to anyone selected beneficiary. And this is what is called COLONIZATION. Unless A land is colonized no other has a right to take the land from the owner. The time it does, it is by force. Recently I read that about 10,000 Tigrains were given a housing land in Mekele. Though the land was witthin the masterplan of Mekele City, each owner of the land sold each square meter of his land to those who got the chance. What TPLF did was he developed a housing project for 10,000 people and the price for each square meter was defined. Then anyone who get the parcel of the land, he pays money directly to the owner, not to the government. The government has a right to collect taxt but not own a land and distribute. Otherwise it is colonization. What Kunama did in 1970s can not a reason to push them out. Whether they incorporated in the armed struggle or not is another issue. As people, they have a right to live in their land. Eritreans fought to liberate from external occupier and no one should be deprived of his/her basic rights for not participating in the struggle. 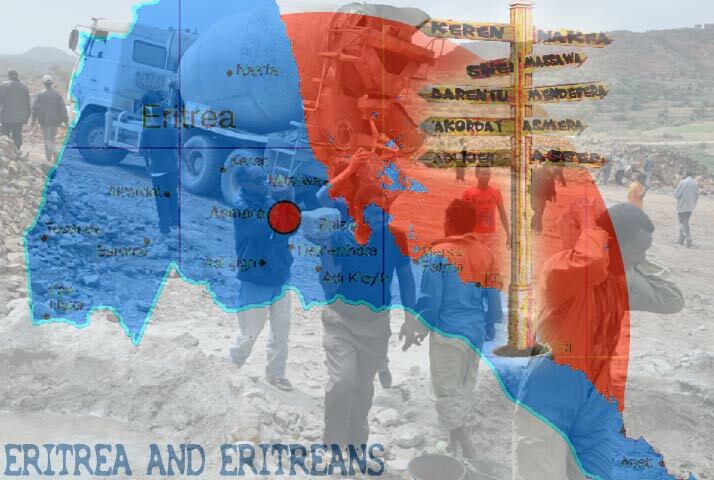 If they continue to resist, as far as their objective is not to occupy Eritrea. As people, they have every right to live as they want in their land. Anyone who interfered in their rights, they have every right to fight. As for Forto Sawa being predominantly Tigrinya, we’ll that’s because of the failures of Muslims to carry their own weight when it comes to defending and building Eritrea. We need to fight against this mentality and oppression. You seem to have a great adventure in life at such a young age. But I am wondering why are you advocating for those communities whom you call are stolen of their land? Aren’t they capable of doing that? And are you certain that land has been grabbed illegally? Are you in unease for the veteran fighters for being demobilized and were given the chance to lead their life in such a way? Most importantly ,are you certain the settlement realities on the ground have been orchestrated or came from the thin air in the last 18 years ? P.S. Which generation of land grabbers are you ancestors from?? Family and friends ,please offer your brotherly advice to Tes to come back to his senses and peruse on his engineering field. You asked, “Which generation of land grabbers are you ancestors from?”. This is a good question. And it has very significant historical lesson. My family were immigrants. They came from Agaw Lasta after they lost their kingdom there. Through time and expansion we reached in Anseba, around Keren. Long before these Agow people came to Senhit or Anseba, the area was believed to be inhabited by Nara and Kunama. These native settlers were believed to be forced to leave their land. There are many historical traces in Bogos area and its surroundings that can prove these claims. Since then we lived in that area. What happened to Kunama in those days(it was in 15thC) is also happening to the same people in the 21th C.
Kunama are leaving in mass their ancestoral land. Barentu is no more considered as the capital city of Kunama people. Nara are some where living in small villages and no central city can be claimed as their center. 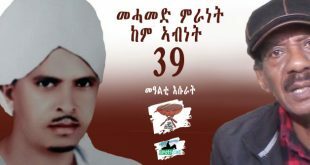 Kunama – these people are the first victims of PFDJ regime. Thousands are forced to stay in refugee camps and their land is occupied by new settlers from the highland. You see, history is repeating. What my family did to Kunama and Nara is again happening in my life time to the same people under PFDJ rule. I want to stop this suffering and continuous oppresion of indigenious people. I want justice to these people. Why we are pushing them till they are forced to live in exile? I believe the land policy of PFDJ is the cause of these suffering. And indigenious people are victims. Based on your reply, you are from the Bilin. And I am again curious whether the Bilin did the land grabbing strategy by persecuting the “natives”? Do you think a crime has been committed by the Bilin against the “natives” in this case the Kunama/Nara? If yes, could you please substantiate those claims? Could you dispel some claims from different corners that accuse of joining the human misery monetization/capitalizing/profiteering industry (aka Human Right activists industry)? There are rumors that says Elsa Chirum might have groomed you to join this industry ? Your question is good one. Though I do not have historical evidences to support or not for your question, what I can be sure is this. Bilin – were forced to immigrate from their Agau Lasta after they lost their kingdom. Byt then, they had no power to fight against anyone except settling in an area which they found it free, welcomed or had a skirmish fight. They must had a long journey. To support my hypothesis – and is what I read in history – Bilin settled in the highlands of Eritrea first. There are villages in the highland with Bilen language origin. Either warlords from the south of Mereb or local rulers might have pushed them again from the highland though some were settled and completely assimilated with the local people. As they were animal herders, they were not practicing sedentary agriculture. And most of their domesticated animals were/are goats. Moving further to Anseba area and far to Halhal plateau could therefore be a sign least resistance. In Keren Megarih, they built their church, which it was believed to be their holy protector – Saint George. This shows they got some freedom after such a long journey. Kunama and Nara were said to live in Bogos are. There is no historical evidence or document that says Bilin pushed these people from this area. What I believe is that Kunama and Nara had moved way before Bilin came to this area. In the 15thC, Turkey was in Keren. And Bilin had strong relationship by then. On Elsa Chyrum – this lady is an iron lady. She deserves our protection. I believe she is a hero and I am with her. When needed, I will write more shocking allegations that are directing to her by opportunists. I stand against opportunists and by now I have figured key opportunists who need to be exposed. if not what Eritrean justice seekers fought for the last 25 years will be hijacked by these opportunists who are defaming Elsa for their own greediness. Let me emphasis this: Elsa is a figher. There are others who are pretending but are interested in their professional career. On this occasion, I call you to join me and defend Elsa from all these defamations and insults if you are a justice lover. For now this is all I can say and of course I have many to be said. that, when you go editing after random comments of forum participants and publishing it on the front page; you own it. You are responsible for it and you credibility is at risk. You are too good to jump in a dumpster to salvage un- substantiated personal comments. Unless the vision of this web-site is to outdone Assena.com!! Just how I see it. First of all, I didn’t write this article. It was a comment and Awate Staff found it important as their introductory notes indicate. Second: in every article I write, you have a habit of saying the same thing. Therefore don’t pretend that this article is something you don’t like it be in the front page. It is good for you if you say enough for pretending. You know how I knock your head. Hi Tes, i have no personal issue with you but all i am saying that you shoot your mouth way beyond your pay-grade. I agree with you, you didn’t write this article on the front page but awate.com did. They dive to the dumpster, clean it up and present it on the front page as article. If i was in awate’s team, my first question would have been, okay great emotional loaded story and great story for the regime we oppose but is it true? can awate.com stand behind it? those questions they supposed answer before they emerged from the dumpster. like I have said, you are not responsible for this, they are but how exactly does reconcile with their stated policy and objectivity? If you ask me, the awate team got a little irresponsible and lazy to post your article on the front page, again how do they know what you are saying is true? if so, why post it without enough reference and validity? Don’t take it that i am against you or i have any kind of personal grudge or whatever, i don’t. But it bothers me with your academic caliber you resort into this cheap and poisonous politics. again, you have nothing to do with this but how do the awate-team know what you have said is true and post it on a front page? please answer that. The very point i am bring this up is that i have a fear this web-site is going to Assena.com. Tes, your strongest point is academics and your lowest point is politics. you don’t have the skills and stamina the politics it takes; you are too emotional and week to deal with it. My take and i am out. You claimed that you stayed here for more than 15 years. If so, you could have trusted awate. It was supposed to be your home. I feel sorry when you say, “If i was in awate’s team,..”. I am very sorry. I will call Hayat Adem to give you some advice. Conspiracy theory is killing you. By the way, since when did you start to oppose the regime? I was surprised to read this: “…great story for the regime we oppose …”. C’est bizarre yiblu les frençaises(Haile S. I don’t think we need to translate for him). Hi Tes, “You claimed that you stayed here for more than 15 years. ” you just proved to me you are pathological liar and i rest my case. good bye lunatic. you are embarassment to the name of Eritrea and to the meaning of humanity. I might be wrong on the numbers. I will ask for confirmation either from saay7, SGJ or iSem. These people knows you better. 2. 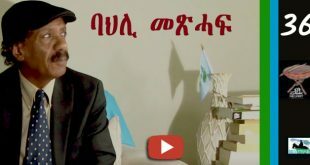 When forced conscripted soldiers were shot in the heart of Asmara, you and Gurundog Gheteb came in and justfied for their shoting by saying, they deserve it. 3. I have never read any single line expressing a condolence message to a person whose passing is announced here at awate. Without forgetting your anti-peace wishes towards ethiopia and your dream to see ethiopia divided and live in misery, your stay here for 4 years is a disgrace. You are inhumane and a killer. Why do you oppose almost everything? I would have called for your story in a similar fashion under the same format. However, I dismissed the thought, because there is a deficit of credibility on whatever you write. It is based on your previous posts. I disagreed with tes on many occasions. He is a fearless tenacious Eritrean and you, of all people, should be proud of him. He is a genuine article. I think your political lens you live with has distorted your perception of people in the real world. I am joining Ismail and Hayat to praise you for recognizing tes’s account to put it in then front page. Your recognition is of Tes is well justified. There are awatistas here who have been telling us one thing all the time: pfdj is good, the rest of the world is bad. They are in pfdj’s locker room and helpless to leave the room or break the chains. This young scholar is very different. His energy is contageous, his curiosity is raw, his courage is that of a lion, his passion for his people is a burning fire, his attachment to Eritrea and knowledge his country is so real and deep, and he is getting better and better at articulating his views thoughts and experience by the day. If the rate of personal growth is the parameter, his is unmatched. He is a delight to watch him growing. Eritrea must find him the right space. Why? Because he repeats Afar and Kunama victims over and over again. Sad to say but young tes is nothing more than an over ambitious who feels he deserves all credit for his rise in Eritrea, he defects and vows to return as top dog. There is even Presidential tes talks pumping him up. Some of us are way too familiar with the odessy of some falks here as well as the AT manipulations. Siding with victims and voicing for them is the noblest thing to do. Don’t you agree with me? And even standing for one single victim is notable let alone for Afar and Kunama people. But in my understanding, Tes stands for justice and and anti crimes. Nonetheless my note of appreciation was for the kind of growth he is showing every single day. He is sharpening his focus and he is becoming about the future. That is a rare commodity and it should be appreciated. We have enough retards who want mobilize us in reverse gear to rework the distant past. the contrast is very stark. I also see a lot of shinning moments in you but it doesn’t take much time to come back and confuse me to the point of making me incurious or second-thinking about you. I never knew you were ShaEbia. What I see is what I see here: ShaEbian- don’t think so. Maybe, a freelancer at will. But i see you too sophisticated to be one, though. is that fair enough? It is fitting to express due praise to members of the Awate Team for their care to track worthy comments from which much could be learnt. Tesfabirhan’s is a case in point that rightly deserved selection and given first page space. Such contributions that come flavored by personal resumes can represent specimen of what Eritrea’s post-independence generations have experienced and know firsthand. They indeed constitute epitomes of the bigger picture of the misfortune their young country has been facing under a regime that came to be defined as the perfect antithesis of all that the liberation struggle era generations had dreamed for, and promised to deliver. Tesfabirhan and his peers, who are intelligent and courageous to shun propaganda and indoctrination, and equip themselves with awareness founded on solid knowledge reaped from concrete experience of hardships of life, make up the light at the end of the dark tunnel in which their nation has been made to enter. When the segment of the society find one another and join hands to close ranks, their wounded people’s hope shall be raised and rally behind them to redeem their wounded nation. From us, the liberation era generations who were not able deliver independence predicated on liberation and all what it mean – peace, stability and sustainable development- they had perseverance and culture of sacrifice to emulate. 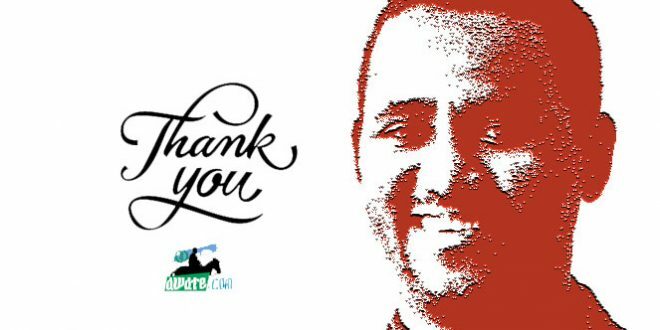 Gratitude to AT and Tesfabirhan. I join Ismail in applauding you on your account. Tes, you are the modern Ibn Battuta who not only went throughout his own land, north Africa, but also extensively travelled to the easter civilizations including the horn. What you have given us is a sketch and I am sure you are able to remember every detail and make it to a book. I don’ see any malice in what you said. You are just stressing on the inequality of representation of our diversity and the hardship our young and old are going through. And than you for the link to Aida Kidane’s document. She is a formidable documentalist. The subtle attack on Tigrinya people via “Tes” is embarrassing to say the least. But that seems to be the central message of many of Awate’s writers. They tell us that no one can do business due to the dictator absolute control. they tell you there is no private sector and every one is under the government and they forget and tell you there rich highlanders allover Eritrea building things and running business. I am sorry I hate lies. He also has a low standard for “rich” because the Barantu I visited has poor infrastructure and certainly no one there can be considered rich, even by Eritrea standards. More importantly, Kunama people are only 2% of the population. If they owned the majority of businesses in Barentu it would be disproportionate for their small population. But common sense like that doesn’t resonate well with people who seem to suffer from the Tigrinya version of “white guilt” . It’s odd because Tigrinya people never owned slaves yet we’re being told to apologize for imagined crimes of Islamists on the internet. 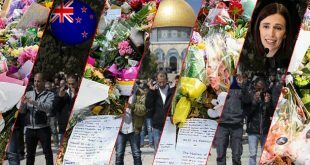 Instead of focusing on phony crimes, here are real ones: Hundreds of Christians were slaughtered by ELF Islamic terrorists, where was the outcry? Many Christians were slaughtered in the lowlands from 1991-2005 by Islamic terrorists, where is the outcry? Majority of the Eritrean military is disproportionately occupied by Christians, where is the outcry? Actually, for the military, you will hear an outcry that most of the generals are Christians. They want the top spots without proportionate representation in the rank and file. I can’t believe why people discuss this, as if Tigrinya people are not suffering during this regime? As if he prefers us? But denying that Tigrinya people have more privilieges is just ignorant, it’s kind of clear. What a story, it is better than the classic ‘Gone With the Wind’! But the question is: is everything that is written true? I suspect, given the right conditions, tes can write a similar story supporting the Eritrean government. Conclusion: tes, the food tech specialist, has become a good fiction writer. Hi Simon; it is good to know that the Eritrean government is creating rich highlanders. I used to think the people of Eritrea were under brutal dictator and oppressed to no end. It turns out my concerns were uncalled for and false. I bet you he wrote it under different state of and circumstances. The guy is full of erratic behaviors and emotional turbulences. All I want is to know the truth and they keep switching the stories. I guess I am very happy there are Rich and fat highlanders in Eritrea and I am happy the Eritrean government is creating milliners. You are back to your noise making habits. Well, yes there are highlanders mostly relatives of PFDJ and Military officers who have a green light to occupy land of the natives and exploit the local resources. They had better access to education and compared to local people they were in a better position. Most are linked with corruption and black market activities. For example, I was in Barentu in the summr of 1998. It was relatively a small city. 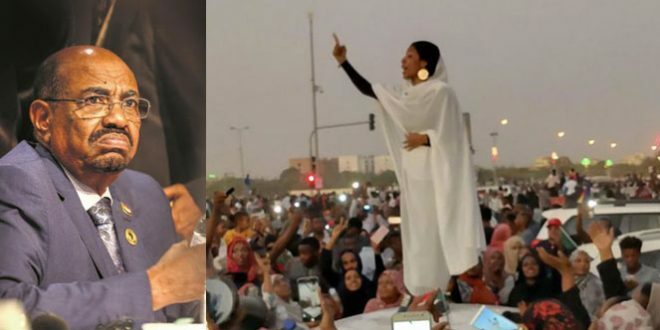 If they were any Tigrigna speakers they were those who came back from Sudan. After 1998, everything changed. Because of war dsiplacement and business opportunities related with Un Peace makers and thousands of soldiers stationed around, many highlanders, mostly veterans got an opportunity to occupy the city center. Former residence center of the Kunama people were demolished because of new buildings – hotels, roads, hospitals and small businesses, Kunama people were forced to be removed from their area. No compensation was made. Kunama people – having undilluted culture and communal life, associated with disadvantaged sedentary and pastoral life, they could not compete with the new comers. No financial help was provided. And there was no special development focused projects were initiated. Feared by the overwhelming new comers and unable to cope with business activities, they were forced to leave the city center and go as fas as Biyara area – which is abour 3 km from the city center. Kunama first opposed for their housing dimolishment but were chased by heavily armed soldiers. At last the Kunama settled far from the city. Many were forced to flee from their native land and became refugees in Ethiopia. On the rich highlanders – don’t expect billionaires – rich in Eritrean standard is one who owns a simple coffee shop. Otherwise, you won’t see Ferari or high buildings owned by individuals. since most trade activities are illegal or money collected through corruption, most businessmen/women end in prison. Richness is therefore seasonal in Eritrea. “I used to think the people of Eritrea were under brutal dictator and oppressed to no end.” As everybody here knows you’ve been supporting the mafia PFDJ regime 24/7/365 in this webiste and elsewhere without end. If you really believed in what I quoted, then what was your reason to support the regime? You see, Nitricc, while trying to get to Tes, you’ve exposed your self. You’re most probably a non-Eritrean, or worse someone with real evil wishes towards the Eritrean people. Nitricc, if you’ve real balls why don’t you go and try the national service of your master DIA? Why do you’ve to bark from the safety of your mom’s kitchen in the USA, instead of trying what your peers are going through in Eritrea? Do you believe that the Eritrean government is creating rich highlanders? That is what Nitricc is discussing. You need to stick to the topic. Hi Simon K, my emphasis is on what I quoted from Nitricc’s comment, why do you want to divert the attention away from it? Are you Eritrean? I don’t think so, I see running behind the Tigryans on this web-site. maybe you are half. what do you think? I remember a story about two Jewish chaps, Amos and Ezra, we met on a bus. Amos: Hi Ezra, why are you reading an Arabic newspaper today? Ezra: I am fed up with reading the Jewish ones. Ezra: They are too pessimistic. Amos: And the Arab ones? And this joke is anti Semite!. You are a very confused character. Hi Simon, Semere is known Israelis supporter. at one point he was accusing the Palestinians while drooling for Israelis. Normally he is the confused one but on this one, he knew what was doing. when ever you mention the Israelis, he jumps like a slave who sow his master. I don’t know but why do I have this feeling; Israel and Semere hmmmmmm. The joke I mentioned is in no way anti-Semitic. I read it from the famous Jerusalem Post cartoon called ‘Dry Bones’. You are pathetic. Arabs and Jews are semites. And so is simon partly. Go crawl under another rock for ways to depres and make Eritreans feel hopless. How is that AAgazian baby,project of yours working for ya? In order to prove if he is lying or not, I think it would be easy if you can visit and see for your self that would be good. May be you will get to interview him. there are many people who are benefiting from IA corruption including his military and people associated with the regime. he doesn’t live in vacuum. 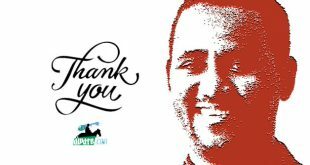 Dear Robel, thanks to the other Tes, now we can read between the lines. Most of my families are Tigrigna speakers living in the heart of the highland. Hamasien – Seraye and Akaleguzay. Open the link to save your ignorance. And I know they are well settled there. What I am talking about is about Highlanders who moved to the lowlands – like Massawa, Danakil, Gash-Barka etc and became dominant by displacing native/local settlers. The local people didn’t get any cent of compensation for losing their settlements and at the same time are lsing their language, culture, way of life and their limited resources. And these highlanders are mostly former tegadelti – who are acting as owners of the country. When the come there they control every activity and the local people are marginalized. There is system that protects them and there is no special development program that is planned to change their economic life. And with time, they are losing their language and everything else. And this is happening within 25 years. Before, almost these native people were living in the way they lived for centuries. It is good to tell you a story. In summer 1998, I was in a summer work as part of an obligation (aka Forced Labour) for all high school students to participate in this soil and water conservation project. Parallel to our works we also participate in sport, general knowledge competition etc organized by National Union of Eritrean Youth and Students.. I was in Gash-Barka by that time and I represented my Sub-region(Mogoraib) to compete with other students coming from the whole region. The competion was held in Barentu. In those two or three days of my stay I had an exceptional experience in one afternoon. While walking from the school where we were sleeping to the city I saw more than hundred Kunamas celebrating with their beautiful dance. It was such a cheerful afternoon. And when I was wonderning around the city in the evening, I met the house where the celebration was going. Apart from TV, it was my first time encounter with Kunama people in such a large crowd. I do not have words to express that evening right now. Kunama youth – both women and men were dressed in their traditional clothes and hair dressing. The boys hair dress was waxed with butter. It was shining but the odour was strong. Kunama ladies were also dressed like their traditions. Their danse was intense and their music so elegant. I enjoyed for about 30 minutes. I asked about the event. Someone from the crowd told it was a celebration on the passing of an elderly man.I was shocked. How can people danse when someone has died? What I know in my area was totally different. Then I remembered the danse and run I saw in my way was saying good-bye. And this is one of their unique culture that lived with them for centuries. *I put god because Kunama have different beliefs or religions. There are few among the Kunama who still are practicing their ancient belief. In literature, it is mentioned as “Athiests”. But I think they believe on their own god, a different god than that of the Abrahamic religions. Many rituals are practiced by Kunama even now. I’m aware of your ethnicity. The issue I have with you is you make up claims as you go. For example, you keep saying all the highlanders living in the lowlands are former soldiers without any evidence to prove such a bold claim. Another thing is when you say highlanders, you only seem to be upset at the Tigrinya and not the Saho, Tigre and Jeberty highlanders. Are they allowed to move wherever they want? Is it because they are Muslim? Is that at the root cause of this? I think it is. Because any ethnic group can settle in the highlands and its celebrated as multiculturalism, but when a Christian moves into the lowlands, it’s called a settlement and robbing the people of their resources. Ha! You don’t know how these people have lived for 25 years let alone for “centuries”. A lot of these Muslims in the lowlands were orthodox Christians just 160 years ago. In fact, many of them were Tigrinya “settlers”. For example, The Hababs, which are the largest Tigre clan, trace their ancestry to Akele Guzay. Same thing for Bet Juk, Ad Taklais, Ad Hamasien and Ad Temariam. If these names sound Christian or Tigrinya to you, well that’s because they are, including Habab. In fact, more than half of the Tigre clan names are Christian/Tigrinya in origin and the reason for that is because they came from the highlands centuries ago, and over time, were forced to convert to Islam whenever an Islamic army occupied their territory, especially during the Egyptian occupation of the 19th century. So Tigrinya, Tigre and Bilen people settling in the lowlands has always been the norm and not the exception. In fact, more than half of the Tigre peope today trace their ancestry to Tigrinya people. So please stop telling Eritreans where they can and can’t live when they have been moving freely throughout their country long before you existed. Let’s not forget the Bilen, they are a highland Agew ethnic group that first settled in Keren from the Ethiopian highlands in the 10th century and later again in the 13th century. Then do you think I have a problem with Tigrigna speakers? My friend just take a breath and read what I am writing. In case, I consider PFDJ as a Colonizer Regime.. I say this because he occupied the land of the people under his imposed land proclamation of 1994. Through this proclamation, the people lost their rights to protect their rights to own their land. Since then PFDJ favored former tegadelti veterans to occupy land in all parts of the country. Highlanders, they could be Saho, Tigrait speakers or Tigrigna speakers had small land to live on in their original place. Exploiting the land proclamation, these Tegadelti expanded to places like Barentu, Nakfa, and other small cities inhabited predominantly by local people. These new comers with their economic and political power dominated these areas. Other thing that facilitated occupation of these locals was military camps established nearby. For example, Forto Sawa is now predominantly Tigrigna speakers because of Sawa. If the local people were treated differently and ghad a right to get financial compensation, or had a power to decide on the fate of their land, I could not bring this public grievances. What my claim is that these people are disadvantaged through PFDJ policies of land grabbing. On the other hand, if these new comers were assimilating with local settlers, for example, like the Saho family family that I narrated in my bio, no problem. But these people are occupying the land, dominating the economy, replacing the language and culture and by default they have strong political power. In this way, the Rights of Indigenious people. The Eritrean government has every right to favor the people who payed with their blood and sweat to liberate the country.They risked their lives for many years if not decades for free. I have the highest respect for all Eritrean fighters, regardless if they were ELM, ELF or EPLF. They deserve free housing, free healthcare, free education and first pickings to everything. The truth is, most of the people moving to the lowlands are peasant farmers who never fought for Eritrea. A few of them are educated Eritreans who are sent to teach, heal or to build infrastructure. The education gap between the Highlands and Lowlands warrants Highlanders to go help out –after all, we are one country, right? And trust me, they don’t like leaving the places they’ve grown up in to move to a different environment. But they do it because they have to. I have an aunt who in 2001, moved to Tesseny from a small village near Mendefera. She makes her living by making tea and selling little hand made items to people. She literally lives just outside of the city in a small area built with sticks and mud and has no lighting or sanitation. Is she the rich Tigrinya settler you are speaking of? To me, she is the norm. She is just as poor as everyone around her but because of her faith, she is being called a colonizer by people who suffer from Christianphobia or xenophobia. As for Forto Sawa being predominantly Tigrinya, we’ll that’s because of the failures of Muslims to carry their own weight when it comes to defending and building Eritrea. They forced the government to not let rural Muslim girls from attending Sawa, while no such special privileges were given to their rural Christian counterparts. As a result, NS conscripts are disproportionately Tigrinya. Now you are speaking something worth. It is worth to discuss at this moment. 1. About your aunt – I am not refering these people. I am refering the people of the ruling class. Those who are garbbing land because of the merit they get from PFDJ, be it in the name of tegadalai or an investor. I am quite sure your aunt has either purchased a small land or is renting the house from a landlord. This is what I am talking about it should be. Any tegadaly didn’t fight to take the rights of others. Remember this. 2. As for Forto Sawa being predominantly Tigrinya, we’ll that’s because of the failures of Muslims to carry their own weight when it comes to defending and building Eritrea. Hmm, then it is their failure to be oppressed, right? This is your stupidity at most and a typical PFDJ mindset. Remember: this is what I am fighting for against. Period. Demonizing the Habesha Eritreans has become a norm in this website by the wanna be arabs Islamists,by the cowardly, politically correct and apologists habesha elites and by the likes of Tes who fabricate a story for cuddly praise from members of this forum. No wonder, the habeshas are embracing the agazian movement. I could have joined them if hadnt stopped believing in superstition. Forget now about Aga’azian. If this movement had little chance to succeed, Ethiopia could have done it. Forget the impossible project therefore. I do not know who is Habesha? 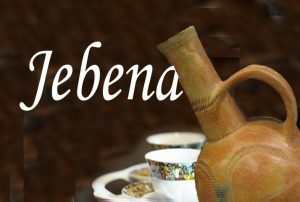 Is Habesha only Tigrigna speaker with an Orthodox religion? My friend, speak about Eritrea. I will welcome you if you percieved I was not fair in my take. If not, drop your Habesha or aga’azian thing. Since 1890, we have Eritrea. In 1890, Eritrea was a formal colony of Italy. In 1994 PFDJ occupied Eritrea. It is an informal colony where a tyranny is ruling without mercy. And the ruling class of this unofficial colonizer are grabbing the land of local people. This is my simple argument. If you have any problem with this, let us discuss or argue. Otherwise don’t be occupied by fear unless you are an occupier. Habesha elites and people like u. The movement may not achieve what it is aspiring for, however it may play its role in creating lebanonized eritrea. The habeshas are the habeshas minus those non habesha who claim to be habesha. Now you are talking. Have some substances please. Do you know what a liberal democratic thinking is? Please say something about this. Don’t be a fascist like Tesfatsion. The article is positive and you should cheer up and provide positive input, at least once. It’s positive to you because he’s not subtly attacking your ethnic group. It is 21st century: There is freedom of speech and there is also an accountability for hate speech crime. Where do you stand in this regard? There is no other way? Where can you categorize your stand. If you choose the second one , you know it evidences must be proved by law. If you choose the first one, the like I said, be positive at least once. Hi Brhan: I agree this article is positive. I used to worry about the people of Eritrea that they were suffering under the most brutal dictator the world ever known. I was sleepless and sick to my stomach about the suffering of the Eritrean. little do I know, the people not only have been taken care of by the current Eritrean government but Tigrigna speaking highlanders are mushrooming every where. I guess Tes is regretting leaving the country. By now he could have been one of the millionaires. given his ethnicity, elite statutes and speaking Tigrigna Tes could have been even Billionaire. indeed positive article. LMAO. I sure envy those Barentu Tigrinya billionaires. Poor tes, he left the Eritrean stock too soon. Now he’s reduced to writing imagined get Tigrinya lowland rich or flee trying tales on Awate. It is 21st century: There is freedom of speech and there is also an accountability for hate speech crime. Where do you stand in this regard? There is no other way? Where can you categorize your stand. If you choose the second one , you know it is by evidences that you can prove and the law will take it seriously. If you choose the first one, theN like I said, be positive at least once. Get Tigrinya lowland rich or flee and sink in the Mediterranean trying. Is the Eritrean military/National Service dominated by Tigrinya people? Yes or no? If yes, why is that the case? The answer is because some religious person(s) stroked their beards a few time and whined to the government that Muslim girls should not be conscripted into NS. As a compromise, the government does not conscript rural Muslim girls, which isn’t really a compromise since over 95% of them live in rural areas. Basically, the government does not conscript Muslim girls anymore –girls that consist of 25% of the population. As a result of giving special treatment to Muslim girls, the overwhelming majority of NS conscripts are of the Tigrinya ethnic group. So when you stated Forto Sawa is predominantly Tigrinya, I’m reminding you that is the fault of Muslims for not carrying their own weight. This also the reason why Tigrinya people are far more likely to leave the country since they are carrying dead weight on their shoulders that the Muslims have put on them by demanding special treatment. Of course you wont whine about that, will you? Doesn’t go with your narrative, eh? Christians doing most of the work and being asked to share their proceeds equally. Let me see your comment point by point. a. Officers – more than 90%, if not more, officers in the Eritrean military/National Service are predominantly Tigrigna. b. Ordinary conscripts: At least 70% are other ethnic groups. Disadvantaged in education, early drop-outs from schools, and forced conscription affects first other ethnic groups. And most are uneducated, coming from rural areas. Those who join to the national service today from highlands have high probability to return to a civilian life as they have educational advantage. Generally speaking, Tigrigna speakers have the highest rate of literacy and so are in advantage of be exempted from prolonged stay in the military. In addition, because of better financial resources – most tigrigna speakers are fleeing the country in thousands. As I said, 90% of the officers are Tigrigna people – call it Aga’azian hence, 90. Only 10 are other language speakers. In the Brigade – 900 are ordinary soldiers. Out of this 70% are other languages speakers. hence 630. 90 + 270 = 360 are Tigrigna speakers. 10 + 630 = 640 are other language speakers. 2. You wrote: As a compromise, the government does not conscript rural Muslim girls, which isn’t really a compromise since over 95% of them live in rural areas. I reject any kind of conscription, be it for men or women. I support therefore our Muslim brothers to send their girls to Sawa. These rural women are now the most illiterate in Eritrea. Under-age merriage is common. They can not write and read. They are marginalized from entering unversitities. They are not allowed to take national exams. Literally, they do not have righst for education. 1. Their families are violating their rights to decide for themselves. 2. PFDJ is vilating their rights for education. have you seen it in this way. Today, Muslim women are not educated. They can not defend for their rights as do not have a say for their life. And PFDJ is taking a revenge for what their fathers did on behalf of them and are left marginalized. 2. PFDJ is prohibiting every door possible to let them continue their education. Today, Rural Muslim women are exposed to genital mutation, under age marriage and no right for education. This is the worst can happen to women in this 21ThC. And PFDJ is playing his role to make these women live in miser. Muslims who live in towns and cities have no problem like this. Those who managed to go Sawa, they have high rate of success as their parents encourage them to be who their are. In these six years of my stay, there nosingle Muslim woman from Beja, Nara, Afar, Kunama, Rashaida. This much are in damage. And the National Union of Eritrean women talks a lot about women emanicipation. Gosh. EPLF and now PFDJ are using Nihnan Elamanan Manifesto. PFDJ does not represent Highlanders but in its ideology and policies and security agents favours th Christian Highlanders. For exampe: land owner proclamation of 1994. This is the most I hate proclamation that I need to burn it without a trace. Land should be returned back to the owners. Replacing Ethiopian occupation by PFDJ occupation is nothing but an evil thing. Don’t worry buddy. The land will be returned to the rightful owners. No doubt about it. oww you spoiled it man , the above comment is simply false and it does not hold any truth to it. You may find any number from the Ethnic based opposition who can support you but all is false . interesting bio and amazing story of a young eritrean of the 21st century. now in Kenya on a WHO scholarship doing masters in health sciences. i will copy and forward her your story. was upset i got mixed her villages name with another of our friends. she said “how come you forgot a place where you had your best Gaat b tesmin/ruguon- maaren”. I am happy that you shared this article to your best friend. Please forward my best wishes for her success.